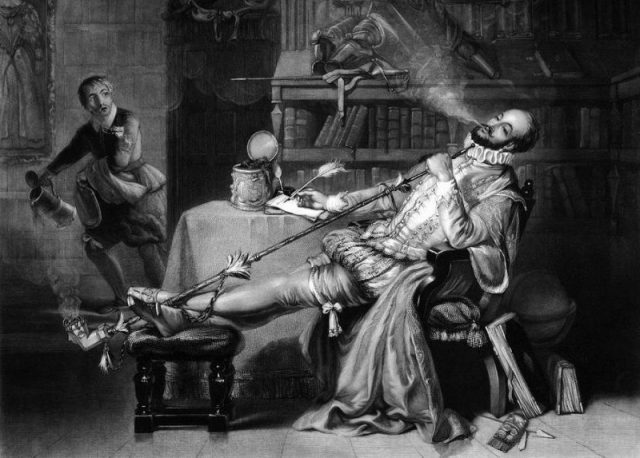 Just in time for the 400th anniversary of Sir Walter Raleigh’s execution for treason, questions swirl about what became of his head following that famous chop of the ax. His body is buried at St. Margaret’s Church, next to Westminster Abbey, but not his head. 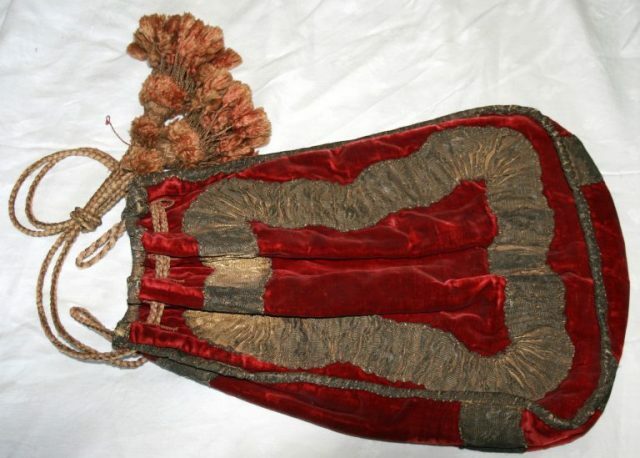 A red velvet bag recently found at a medieval manor in Surrey could contain some answers, some hope. 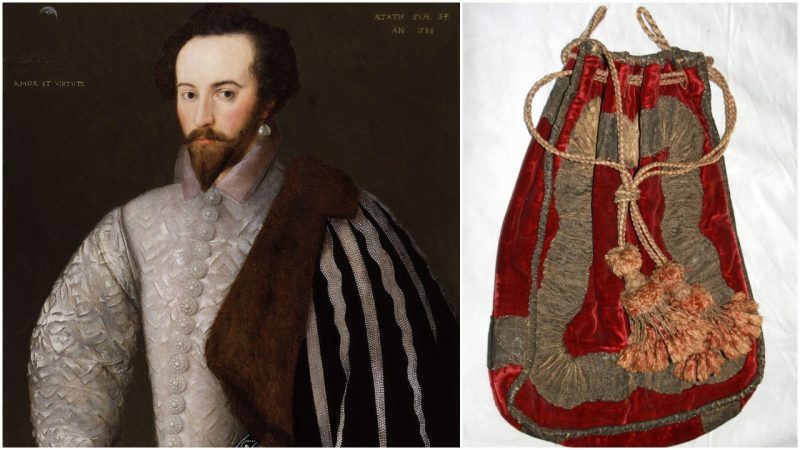 The reason the bag is stirring excitement is that some people believe Raleigh’s widow, Elizabeth, a former lady-in-waiting to Elizabeth I, collected his head, embalmed it, and kept it in a velvet bag. She lived with her son at West Horsley Place for several years. That manor still stands, and after a red velvet bag was found at West Horsley Place, the Mary Roxburghe Trust, which manages the manor house, asked some experts to examine it. But others have their doubts. It’s a tale too good to be true, perhaps. 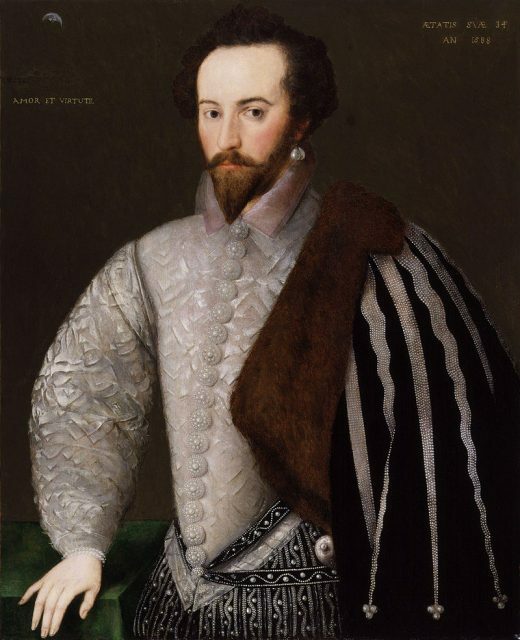 “The story that she carried it with her in a bag is delightfully macabre, but it doesn’t appear to be supported by the evidence, sadly,” said Lyons, the author of The Favourite, a book about Walter Walter Raleigh and Elizabeth I.
Raleigh — an explorer, soldier, spy, writer, and courtier — attracted considerable attention in his life, and it’s never completely died down. Among his other achievements, Raleigh helped establish a colony near Roanoke Island (North Carolina today), and named it Virginia. With the lasting fame comes debate. For instance, documents from his lifetime all say his name was “Ralegh,” not “Raleigh.” Lyons and other historians call him by his given name, but the later version is hard to eliminate. Also questionable is whether Raleigh spread out his cloak on the ground for Elizabeth I to step on one day, which according to legend is how the handsome Raleigh came to prominence. 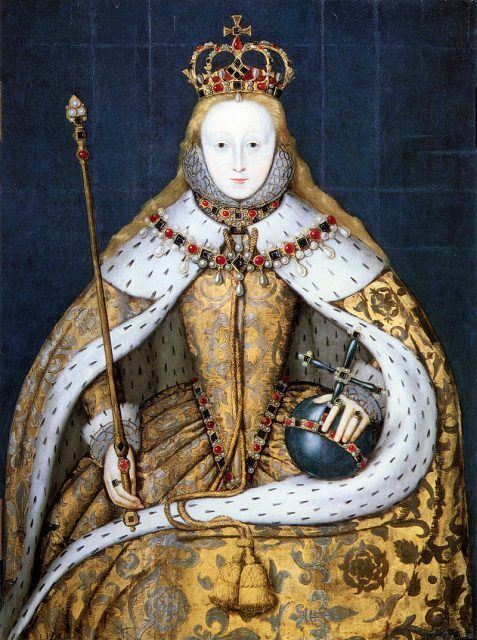 What’s for certain is that Elizabeth’s successor, James I, did not look on Raleigh favorably at all. He was arrested for treason and imprisoned, using the time to write a book. He was released in 1616 when King James was keen for someone to bring back gold from South America. Raleigh set sail for Venezuela, but failed to secure the booty the King demanded. Upon his return, he was imprisoned again, this time at Westminister Gate-House. Nancy Bilyeau is a former editor at ‘Rolling Stone’ and ‘Good Housekeeping.’ She writes historical thrillers, including a trilogy set in Tudor England. For more information, go to www.nancybilyeau.com.